Ivan Varichev was born on January 15, 1924 in the village of Nizhnyaya Loshchikha, Smolensk region. In 1957 he graduated from the Repin Institute of Fine Arts, Yury Neprintsev's workshop. He was a student of Ivan Stepashkin, Vitaly Valtsev, Piotr Belousov. Member of the Great Patriotic War, he was awarded many medals and orders. Participated in exhibitions since 1957. Member of Leningrad Union of Artists since 1960. Writes landscapes, genre compositions, thematic pictures, etudes from nature. Honored Artist of the RSFSR (1983). People's Artist of the Russian Federation (2005). 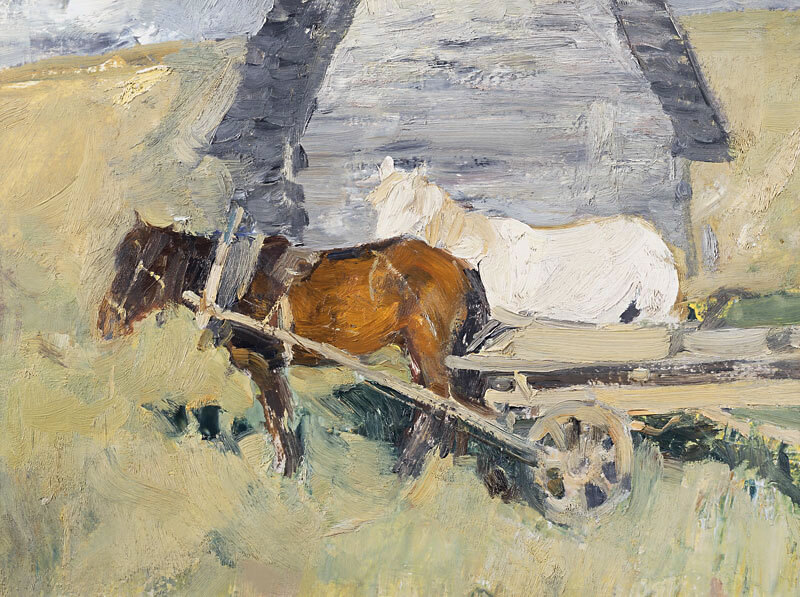 Ivan Varichev's works are in the State Russian Museum, the State Tretyakov Gallery, in numerous museums and private collections in Russia, Japan, China, Britain, the USA and other countries.